In January, several great people offered to lend me their websites for a day or two. Now, you can see what I look like while holding my dinner. Edward M. Erdelac, the unchallenged authority of ‘Weird Westerns” let me compare The Wrong Way Down to King Arthur’s Holy Grail. Check him out, he is a sublime writer and storyteller. Fantasy author Angela Korra’Ti asked me to write something original about my characters for her website. 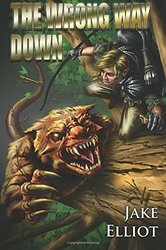 I posted an unread scroll that I broke the seal for you, giving insights to the storyline of The Wrong Way Down. Peter Welmerink asked me to disclose five lessons I learned writing The Wrong Way Down. Peter writes fun horror stories with sci-fi elements mirroring my fantasy stories with elements of horror. The Northwest Independent Writers’ Association interviewed me about writing techniques and preferences. Thank you NIWA, you’ve been agar for my petri dish of creativity. Now the stuff is growing everywhere. 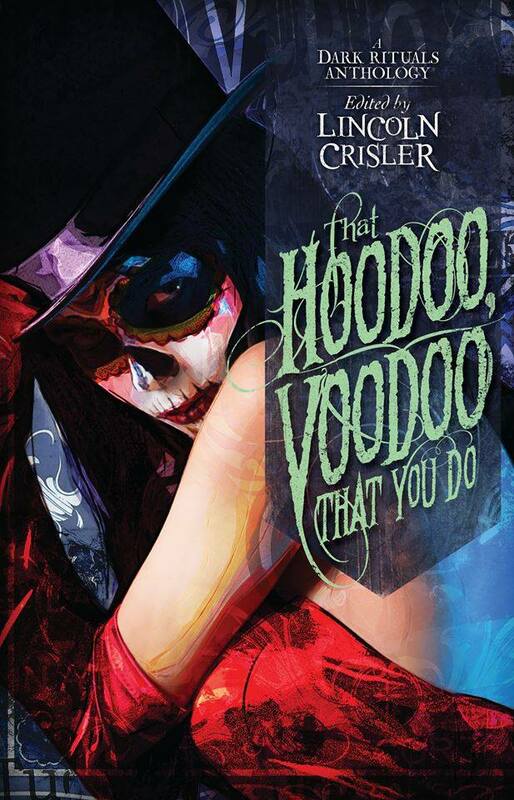 Last and not least, That Hoodoo, Voodoo, That You Do, the dark rituals anthology edited by Lincoln Crisler was published by Angelic Knight Press and is now available.